The most popular cats on the planet are celebrating Christmas. They’re everywhere… opening presents, under the tree, taking a stretch. 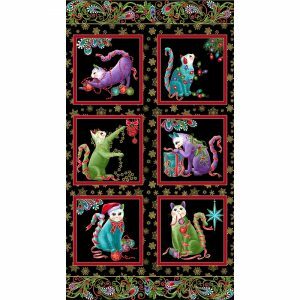 One look and it’s easy to see why everyone loves them—they are colorful, whimsical and irresistible! 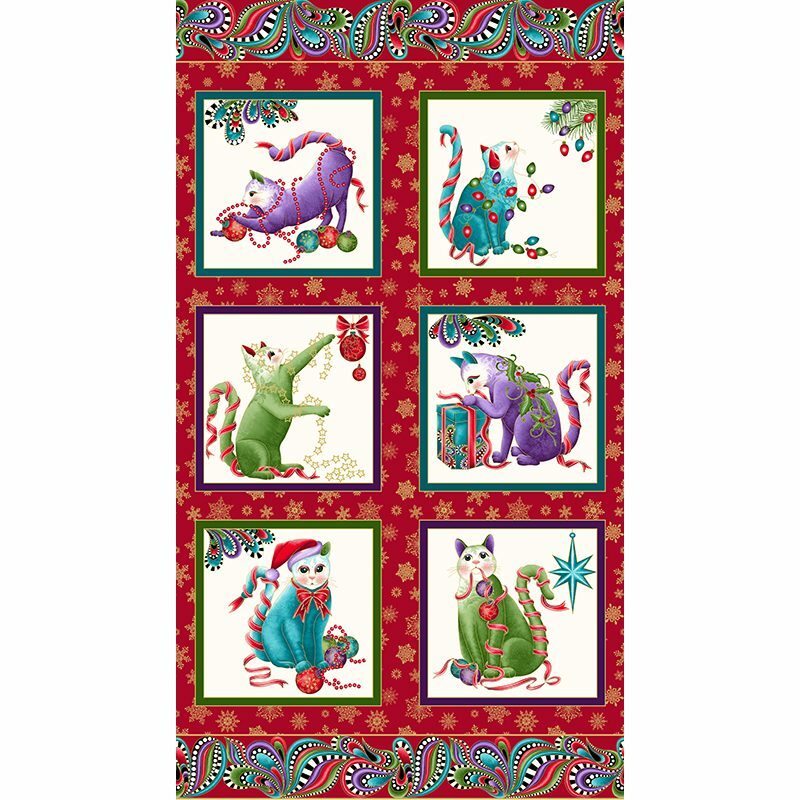 This is the year to have a Purr-fect Christmas! 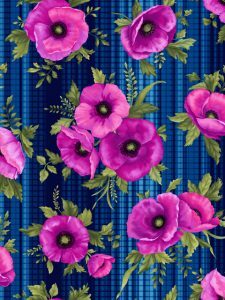 Midnight Poppies Fabric sale! ENTIRE COLLECTION UP TO 33% OFF! Shop our special deals here. 1 yard minimum cuts, please. 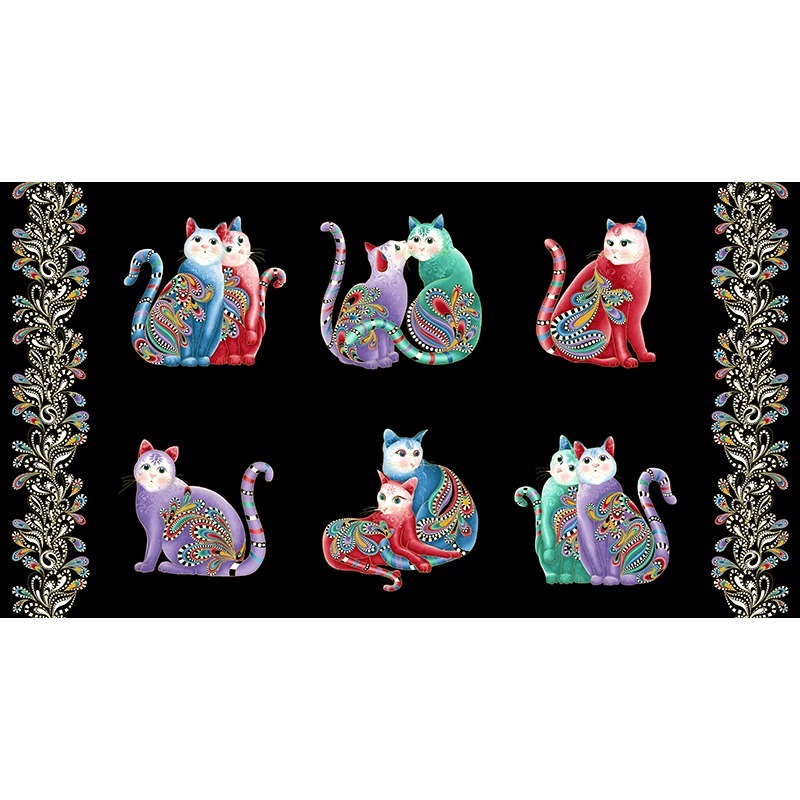 Whether you’re a long-time customer or a new fan of the Cat-I-Tude lines of fabric, welcome! 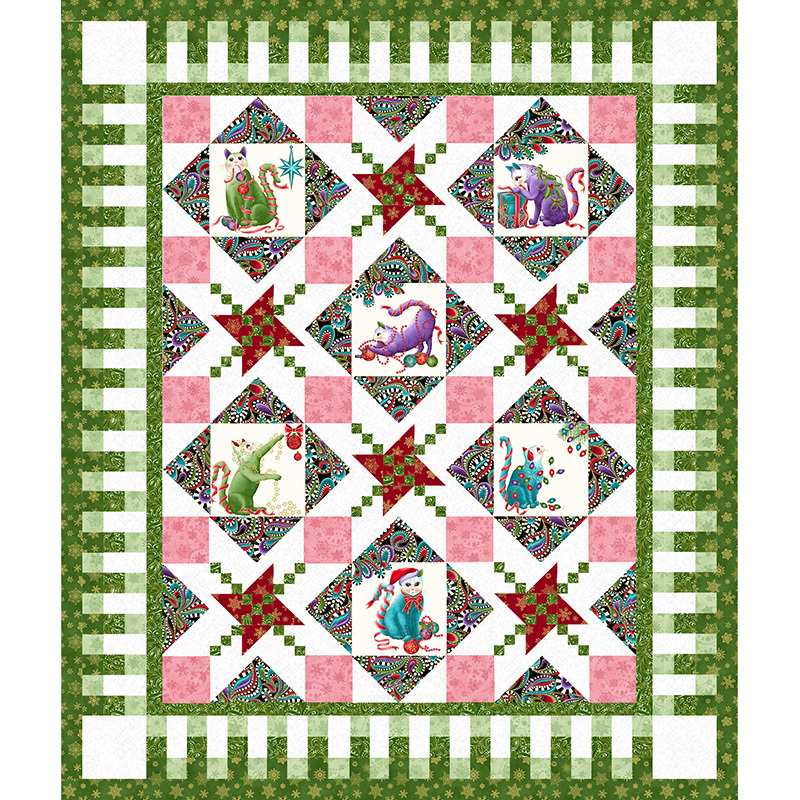 Use the tabs above to browse our available fabric collections, quilt patterns, and ready-to-go quilt kits in a variety of colorways. 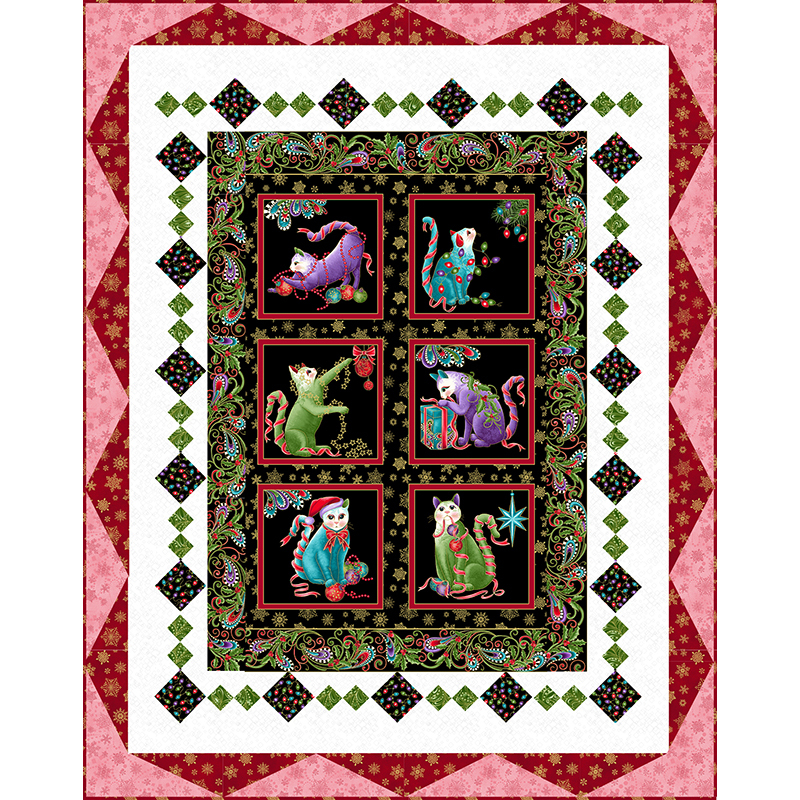 Quilt Kits featuring Ann’s fabric lines. Many of our patterns are available in multiple collections and colorways—you’re sure to find something you love! If you have a question, please call (MST), 406-443-2694, or email us ann@grizzlygulchgallery.com to ask—we’d love to help you get started on your next project. Want to keep up with what’s new at Grizzly Gulch Gallery? Sign up for our Newsletter and follow us on Facebook and Pinterest. 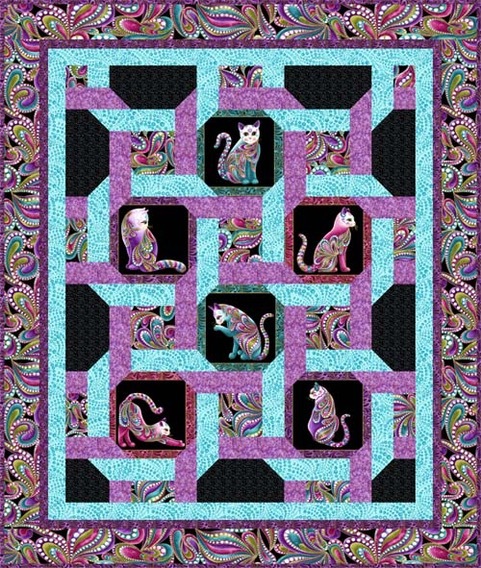 Purchase our most popular kit featured in Quilter’s World magazine.